I’ve always wanted to have a kitchen shelf lined with homemade pickles…but somehow that vision has never found the right bottles or shelves. Mango pickles are made in plenty–some spicy, some sour, some plain marinated, some made Goan style with vinegar, green chillies and carrot but this time it was these gorgeous madras onions that got me thinking about a good pickle recipe. I mean just plain onion pickled in vinegar was boring and was done to death. When dad handed these gorgeous onion pearls over to me, he had that “put some magic into these” look in his eyes…so that’s what I did! This recipe has been inspired by my mom’s dadi’s gol-keri recipe. Simple put that’s jaggery cooked with mango. 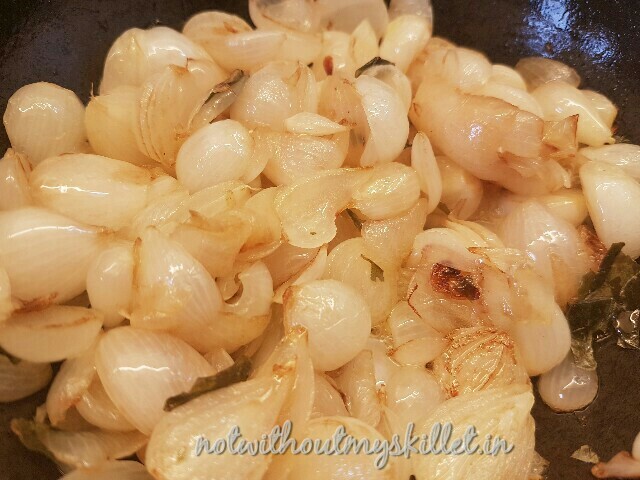 I’ve taken a page out of that book and used a similar process ensuring I caremalised the onions well such that they imparted a sweetish aroma. When the pickle was tasted by my South Indian friends, they felt the pickle tasted very much like their own version of sweet onion chutney! Guess Indian flavours do tickle familiar taste buds! 1. Chop the onions into 4 pieces and fry them in a cast iron skillet in the oil of your choice till they are translucent. If using, add the red boriya chilli at this point. Frying the onions on a low flame is very important as it reduces the pungent taste of the onions and the process of caremalisation adds a sweet undertone to the pickle. 2. 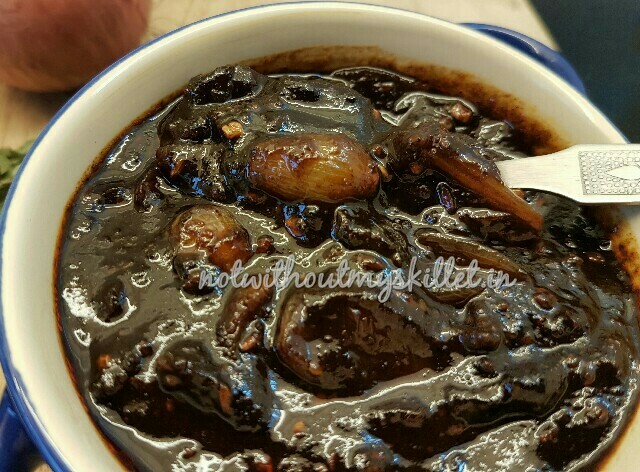 Add the tamarind paste and palm sugar to the onions and let it cook for a while. 3. 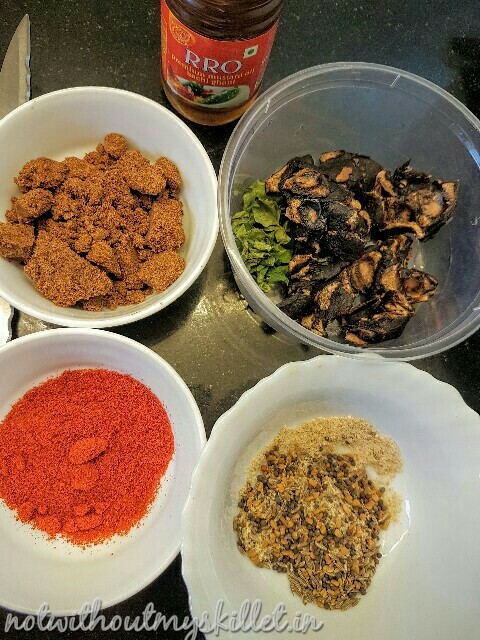 Now add the masalas: red chill powder, the powdered khada masala, curry leaves, salt and the asafoetida. Let it boil in with the tamarind and palm sugar paste. 4. Let the masalas cook in well. Taste it for salt and chilli. 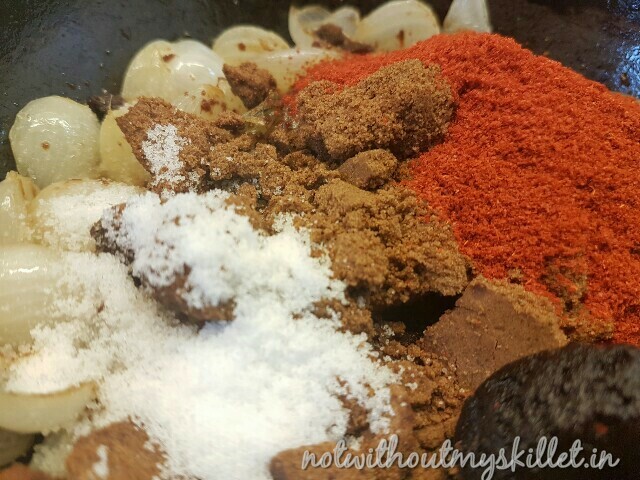 Adjust spices and seasoning. Once done remove from heat and let it cool. 5. Store in a glass container. 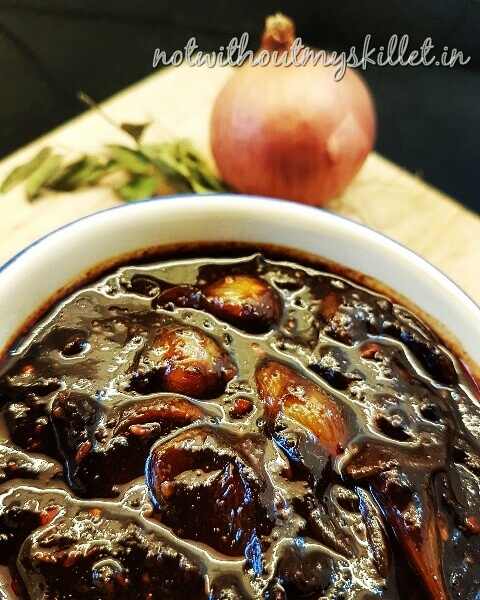 This onion pickle stays well for upto 6 months in a cold place.